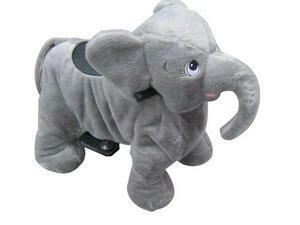 It's all fun once you ride this motorized jungle elephant! Can only be used on a smooth surface such as concrete,asphalt,carpet or inside. NO GRASS OR DIRT. NO RIDERS OVER 200 LBS. Up to 3 hours and $50 for every hour after. If you order without an inflatable a $40 non-inflatble fee will be added.